I think there is probably a general perception that we authors get around a lot, on endless book tours and a giddy round of literary festivals and school events. "Are you coming to John O'Groats/Land's End/the Isle of Wight?" people sometimes ask me. Sadly, the answer is usually no. I don't do all that many events, and I'm always a bit amazed when another author pops up on social media saying "My two hundredth book event of the year, phew!" or some such thing. I mostly divide my time between actual writing, and messing about on social media while pretending to write (the other 10% of my time is spent letting the cat in and out of the French windows). However, it would appear that book events are like buses; none come along for ages and then you get a clutch of them all at once. This last week has been very busy, with only one day at home (Wednesday) to frantically wash my favourite dress and check I have the right train tickets before zooming off again. It kicked off with the brilliant Morley Arts Festival in Morley, near Leeds. I travelled down on Sunday 4th because I had an early start on Monday, and stayed in a Travelodge. There was unlimited tea and coffee but I had to go next door to the Toby Carvery for something more substantial. I'd never eaten in one of those before (my not-getting-out-much extends to not-eating-out-much too) but I can report that they have the biggest Yorkshire puddings I've ever seen in my life, which is apt, since Morley is in Yorkshire. I don't really like eating out alone either, but I took the Dexter novel I was reading along with me, and stuck my nose in that while shovelling in roast potatoes with my free hand. It was just as well I had sustained myself with a roast dinner, because Monday was a busy day. I had two talks in the morning at Morley Academy, and two in the afternoon at Woodkirk Academy, ably shepherded about between the two by the lovely Jill Hepworth, one of the festival organisers. That is mango salad you see there. It was completely delicious, and restaurant standard if you ask me. Very tasty and enough to make me want to go back and retake my A levels. I got home very late on Monday night, and the following morning I was up bright and early, and off into Edinburgh for the media launch of Book Week Scotland at the Fruitmarket Gallery. I was delighted to see some familiar faces there, including author Keith Gray and blogger The Bookwitch. Amongst other speakers, we heard Fiona Hyslop, Cabinet Secretary for Culture, Europe and External Affairs, speak about the value of books and reading and her own childhood love of the Narnia series. Book Week Scotland 2015 will take place from Monday 23rd to Sunday 29th November and this year’s programme of events, projects and activities has a central theme of transformation. 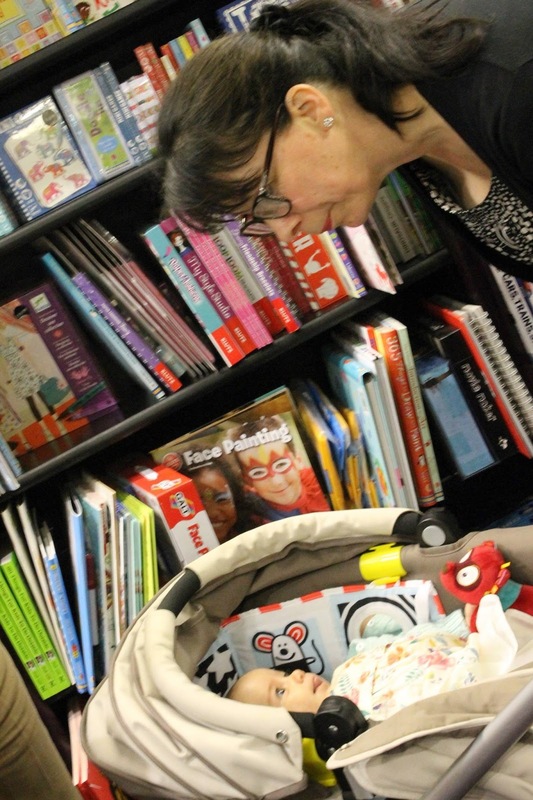 If you're in Scotland, do check it out as there are sure to be interesting events near you - and even if you're not in Scotland, look out for Book Week Scotland online with features such as the opportunity to #ThankBooks for what they have brought into your life! 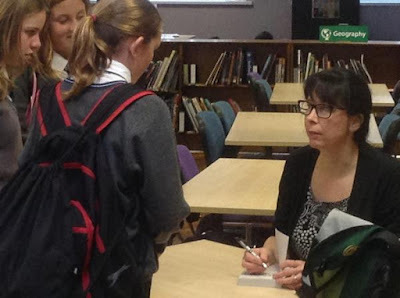 Like Cinderella leaving the ball, I had to slip away from the media launch a few minutes early, so that I could visit Broughton High School, where I gave an illustrated talk about the locations that have inspired my books. I was also interviewed for Teen Titles so I'm looking forward to seeing the piece when it appears in the magazine. Wednesday was my "free" day, although I spent most of it organising and packing for the rest of the week. On Thursday I was up early again for a long journey down to London for the launch of Hilary Freeman's new book When I Was Me. I've known Hilary for a while on Facebook, but I'd never actually met her in the flesh before. Also at the launch were a number of other people I'd only met on social media before, such as Catherine Johnson and Sophia Bennett. Altogether this made for a rather surreal experience, as though my entire Facebook Timeline had suddenly come to life! 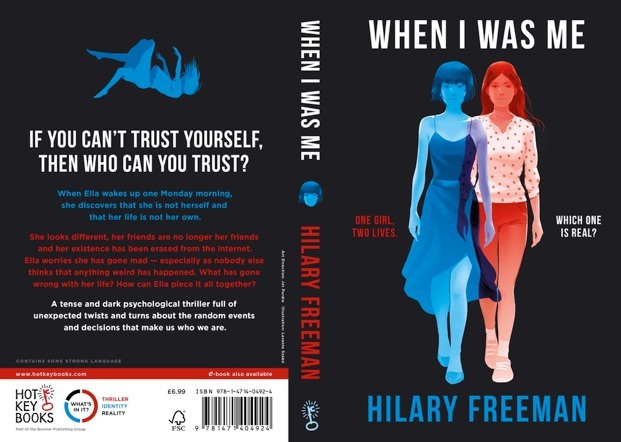 I'll be posting a review of the book in due course - probably on Goodreads - and I'd like to urge anyone else who reads and enjoys it to post one too (the same goes if you've read a book of mine you've liked, cough). It's always very much appreciated. For a further, and probably excessive, quantity of photographs from The Haberdashery, see my Instagram account. It was probably sad of me to wander around the place snapping away with my iPod, but it's the sort of eaterie that cries out to be Instagrammed. There are vintage teacups! There's an ancient sewing machine! Clearly, Sarah and I share quite a few tastes because we spent that evening watching the remake of Dawn of the Dead. Her husband cooked a fabulous jambalaya and their cat, Travis, curled up on my lap for a bit. I think Travis actually likes me more than our own cat, Poppy, does (she thinks I'm just there to open doors and tins of cat food). On Saturday it was up with the lark again, to catch a train to Nottingham for the second ever UKYA Extravaganza. I'm not going to write about it at length here, because I've done a report on it that is going to appear later this week on the Bookwitch's blog. However, if you're not familiar with UKYA Extravaganza, it's an initiative by authors Emma Pass and Kerry Drewery, to set up a series of regional UKYA (UK Young Adult book) events bringing lots of authors to bloggers and readers all over Britain. I think it's a tremendous project, not least because it is genuinely democratic - there are no "star authors", all the featured authors get the same amount of coverage and time to speak, and the regional locations make the events more accessible. Do follow the Extravaganza on Twitter at @UKYAX for news of future events. Above: here I am with blogger Chelley Toy, another person I have known for some time on social media and finally got to meet for the first time this week! Chelley runs the blog called Tales of Yesterday. It was brilliant to meet her, and the other bloggers, readers and authors at the event. On Sunday I took three different trains back to Perthshire. I'd come down the east side of England and now I went back up the west side, passing through Wigan and Preston, etc. I was in a "quiet carriage" most of the way, although it wasn't really very quiet, as it was also occupied by a boisterous group of mature ladies who cheered very loudly when we crossed the border into Scotland! By this time I'd finished the Dexter novel I'd been reading and read most of the following one, and I'd probably consumed my own weight in sandwiches and those little tubs of mango pieces you always seem to get in the "snacks" section of the chiller cabinet. Trains to England always seem to charge for wifi connection so I was dying to get onto the final Scotrail train, as Scotrail usually offer free wifi. As ill luck would have it, I was on the only Scotrail train I have used in the last two or three years that didn't have wifi. Undaunted, I logged on every time we stopped at a station that did, such as Stirling, so that I could check my messages. God bless Scotrail. A big thank you to everyone who invited me to events, let me stay over at their place, drove me around, made me cups of tea and all the other things! Very, very much appreciated. Poppy the cat: "Have you been away? I thought the service levels had been poorer than usual." UPDATE 15/10/15: My report on the UKYA Extravaganza is now live on the Bookwitch's blog: https://bookwitch.wordpress.com/2015/10/15/ukya-extravaganza-comes-to-nottingham/ - do check it out! I'm absolutely certain I will! Such a brilliant premise! Wow. Sounds like you had an amazing time. Hope you get some good rest at home. It was a great week, though I wish I'd had longer in each place! In Morley I heard about a burnt out church I'd love to have seen, and I would have liked to meet Hilary again outside the launch party and I'd also have liked to stay at my sister's for about a week because it's so peaceful and she has a great selection of horror DVDs! 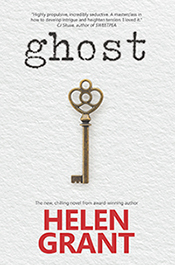 Hallowe'en reading: YA authors recommend!